Bill Rajczak is a retired Major General in the US Air Force. He served from 1971 until November 2009 in a variety of command and staff positions in the active and reserve Air Force. His last assignment was providing executive leadership to the Joint Command and Control program while assigned to the US Joint Forces Command in Norfolk, VA.
Gen Rajczak graduated from the US Air Force Academy with a Bachelor of Science in Engineering Management. He is a lifetime learner having completed studies at the University of Southern California (MS SM), the National Technological University (MS HWM), and the University of Alabama-Huntsville (PhD studies in IE). He is currently enrolled in a Management of Information Technology program through the University of Virginia. Gen Rajczak began his career as a transportation and logistics officer but quickly assumed a variety of non-traditional roles to better utilize his management and leadership talents. After a series of unit, staff, and command positions he was selected to open the executive ranks for other support officers. He served as the first non-rated commander of a regional support group, established a command level contract appeals program, served as the first non-rated Deputy to the Chief of the Air Force Reserve and was requested by name to lead the Joint Command and Control effort in the DoD. In addition to his active and reserve Air Force career, Gen. Rajczak also supported the Department of Energy operation at the Savannah River Plant, where he retired from the Bechtel Corporation in 2004. Gen Rajczak has been an active mentor and mentee throughout his career. He is a strong advocate for this approach to developing meaningful relationships and networks for lifetime achievement. 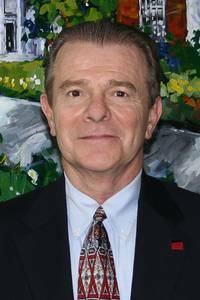 He has been an active supporter of programs at UGA since 2005, and a guest lecturer for the Institute for Leadership Advancement. He is active in programs for veteranâ€™s employment and reserve memberâ€™s benefits. He continues to employ his executive skills as a business strategy consultant for the MITRE Corporation in McLean, VA. He lives in Augusta, GA and is married to Lidia Martellino Rajczak; they have one daughter, Lauren, who resides in northern Virginia.